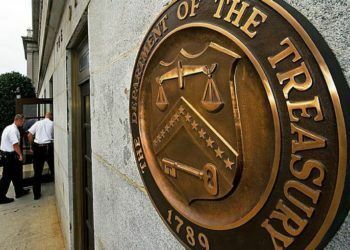 Title III would strengthen the embargo on Cuba and would allow making claims before U.S. courts for properties expropriated after the Cuban Revolution. 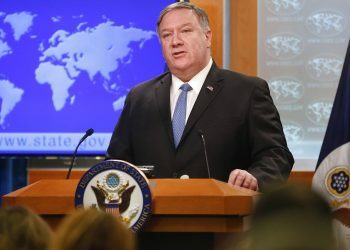 Secretary of State Mike Pompeo at a press conference at the State Department in Washington on March 26, 2019. Photo: Sait Serkan Gurbuz/AP. 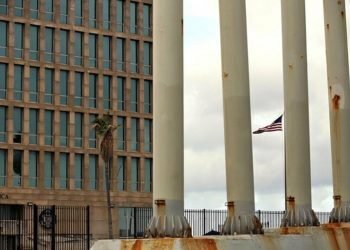 U.S. Secretary of State Mike Pompeo announced on Wednesday that he would suspend for two more weeks Title III of the Helms-Burton Act , which would strengthen the embargo on Cuba and would allow making claims before U.S. courts for properties on the island that were expropriated after the Cuban Revolution. 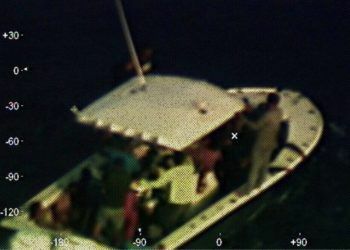 In a press release, Pompeo announced that he will prevent the coming into force of this legal measure for two more weeks, from April 18 (date on which the current suspension expires) until May 1, but will continue allowing lawsuits against more than 200 Cuban companies that appear on a “black list” of the State Department. Since its creation in 1996, Title III of the Helms-Burton Act has been suspended by all U.S. administrations every six months, but Donald Trump’s presidency has increasingly shortened those periods: first it annulled it for 45 days, then for a month and now for only two weeks. 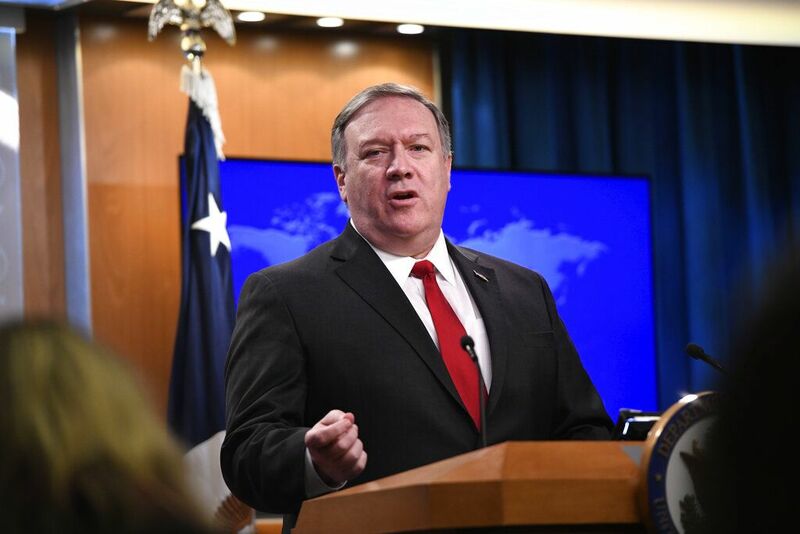 The State Department does not explain why Pompeo has decided to reduce the suspension period, although some analysts interpret it as a warning to Havana. 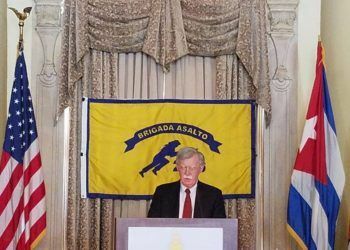 In this regard, the State Department stated that it continues to examine the conditions of human rights in Cuba, including the current repression against the rights of the Cuban people to freedom of expression and assembly. 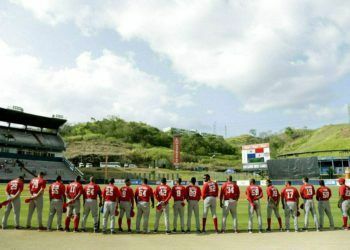 It added that the Department is also supervising Cuba’s military, security and intelligence support to Nicolás Maduro, responsible for repression, violence and the humanitarian crisis in Venezuela. Title III of the Helms-Burton Act was created to allow Americans, including nationalized Cubans, to sue before U.S. courts the companies that are supposedly benefiting from properties in Cuba that were theirs 60 years ago, before the Revolution. When that legislation was approved 22 years ago, the European bloc and other countries with business interests on the island were fiercely opposed to it because they feared that their companies would be sued in the U.S.; and this is the reason why the European Union (EU) denounced Washington before the World Trade Organization (WTO). The litigation concluded with the U.S. commitment to maintain Title III suspended in exchange for the withdrawal of the complaint. 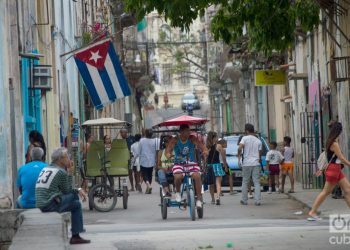 So far, the United States has fulfilled its commitment, but for the first time in history, the Trump government established in March that Cuban-Americans could sue the 200 Cuban companies included in the so-called “list of restrictions on Cuba,” although foreign companies remained exempt. 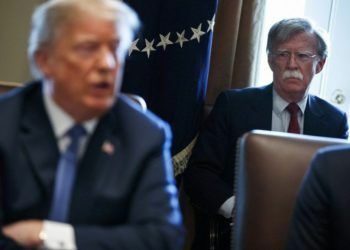 That “black list” includes entities that are “under the control or act on behalf of” Cuban intelligence services, Armed Forces or security forces, according to the State Department. In fact, in Cuba many of the hotels are owned by companies controlled by the Armed Forces and managed under a joint venture regime by foreign corporations, such as the Meliá group, based in Spain.